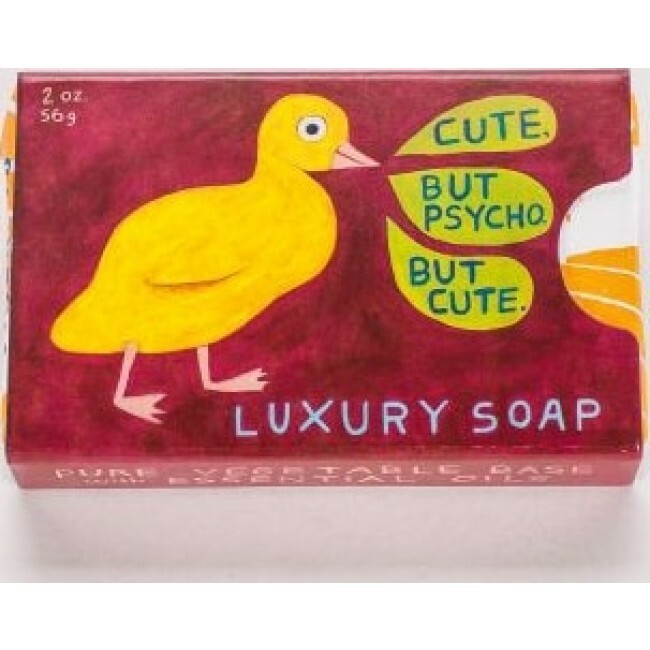 Luxury Soap scented with gardenia and orange. 100% vegetable base and essential oils. 2"h x 3"w x 0.75"d. 2 oz./56 g.
Cute AND psycho? You should be so proud! Leaving ugly white poops all around the edge of the pond? You should be less proud of that. Luxury Soap scented with gardenia and orange. Each bar is made in the USA with 100% vegetable base and essential oils. 2"h x 3"w x 0.75"d. 2 oz./56 g.